The Buick Wildcat bowed in 1962 as a luxury package in the Invicta lineup, and the next year it replaced the Invicta completely. By 1965 the Wildcat had grown up to adopt the big 126-inch Electra chassis and was divided into three lines: the base, Deluxe, and Custom series. Wildcats ranged in price from $3,100 to $3,600. The 1965 Buick Wildcat shared the LeSabre’s body, with Wildcat trim and emblems, The base engine was a 325-hp, 401-cid, nailhead V-8. Optional engines included a 425-cid V-8 that produced 340 hp, and a 425-cid Super Wildcat V-8 that generated 360 hp. The base and DeLuxe series offered a four-door hardtop sedan, a two-door sport coupe, and a convertible, while the up-market Custom was only offered as a coupe and a convertible. Wildcats changed little for 1966, and the engines remained the same with the exception of the dual-quad Super Wildcat option, which was discontinued. Minor trim alterations included the one-year-only Gran Sport option. Available as a sport coupe or convertible, it offered heavy duty suspension, dual exhaust, Posi-traction and GS badges. With the uprated motor, the Wildcat GS could do 0-60 mph in 6.5 seconds and topped out at 125 mph. The Wildcat benefitted from the smoother GM fastback design in 1967 and offered a hefty 360-hp, 430-cid V-8 and Super Turbine 400 transmission. The custom series was confined to a four-door and two-door hardtop, but the base car also offered a four-door sedan and a rare convertible, of which only 2,276 were built. In all Buick sold 68,068 Wildcats, as the model held onto its niche market. The 1968 Wildcat appeared similar to the previous year, with detail differences to the grille and side trim. The convertible Wildcat was moved to the more luxurious Custom line. In 1969, Wildcats got the same new body as the Le Sabre, but with a bolder grille, a squared-off chrome loop bumper, and swages trailing down behind both wheel arches. The Wildcat retained its trademark “gills” behind the front wheels. The Wildcat was reduced to a trim package on the Le Sabre for 1970, which was its last year. It got the 370-hp, 455-cid engine, however. 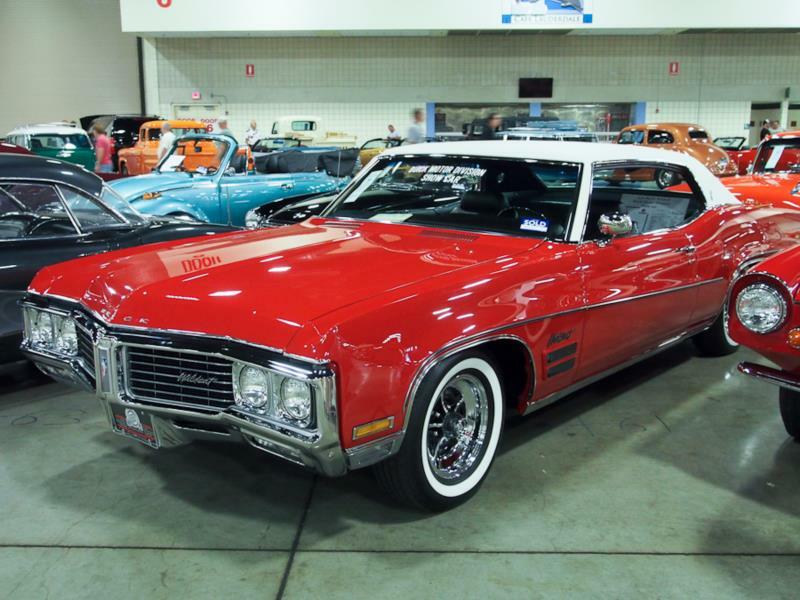 The Wildcat was reduced to just the Custom series and was only sold in two-door and four-door hardtops, as well as a convertible. Buick Wildcats were a popular mid-sized, niche car in the mid-1960s. They were a step up from the Buick LeSabre in luxury, cachet, and often in terms of performance. Convertibles in particular were never common, and make an enjoyable, and quite quick, summer cruiser.